ICC has teamed up with WEA to provide FREE English classes to those for whom English is not their first language and who are wanting to improve their English. 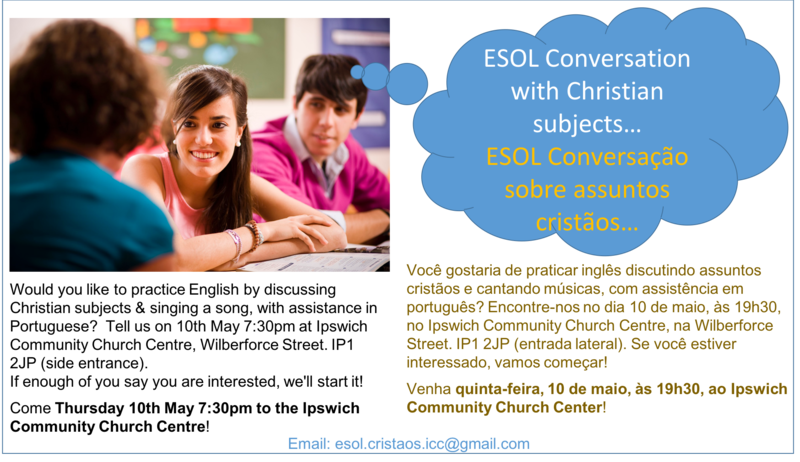 We also run a Portuguese and Spanish ESOL Christian Conversation Group.If you are interested in this please use the contact details below to get in contact. We host an ESOL Alpha Course for those who are wanting to explore the Christian view of Jesus and a relationship with a good God. If you are interested in this please use the contact details below to get in contact.